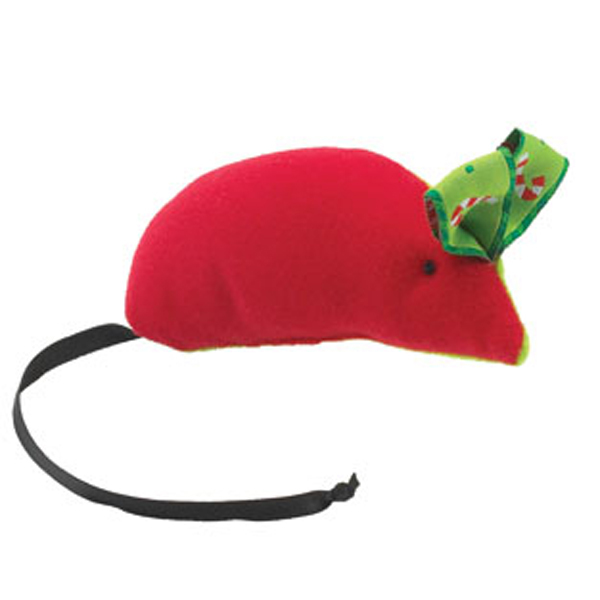 This Merry Mouse Cat Toy will not keep your cat from slipping on their nightcap this holiday season! Red mouse wearing a holiday bow. Packaged in a clear acetate tube, perfect for gift giving. All kids need a toy to play during the holidays and cat are no exception! This fun holiday mouse will keep your cat entertained for hours. Filled with catnip, this mouse is more than happy to be batted around. Packaged in a clear acetate tube, perfect for gift giving. Found them on the Internet. Seems like a reputable business. Surprised at the low inventory for a popular item, but, otherwise, satisfied.